Card recovery tool helps us in getting the deleted photos from digital camera. We can recover deleted, corrupted and formatted files along with the video files. This supports the cards of types SD, CF, XD picture, memory stick, micro drive, and smart media, multimedia, micro SD, and SDHC. After selecting drive writer and camera type, we need to select the destination folder to store the files. By clicking on scan, we can scan the memory card. 1 GB scan disk will scan the SD card in 3 minutes and recover the photos. We can see the recovered files in preview and select and save the required files. 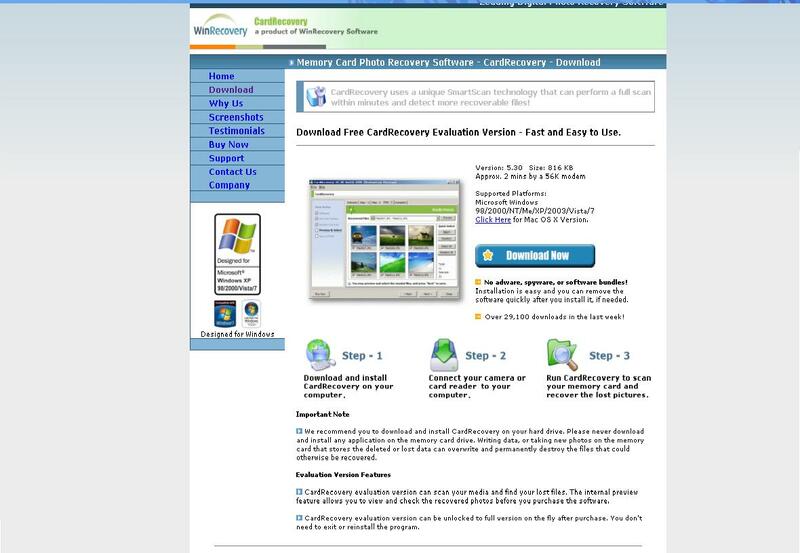 « How to recover data which is deleted on CDs and DVDs | Use Isobuster to recover data on CD and DVD	» How to recover data which are deleted due to virus? | How the file scavenger data recovery utility tool works in data recovering?